Antholz, Italy has been one of my favorite destinations on the World Cup since I first visited it a couple years ago. (Le Grand Bornand in France was pretty good this year too.) 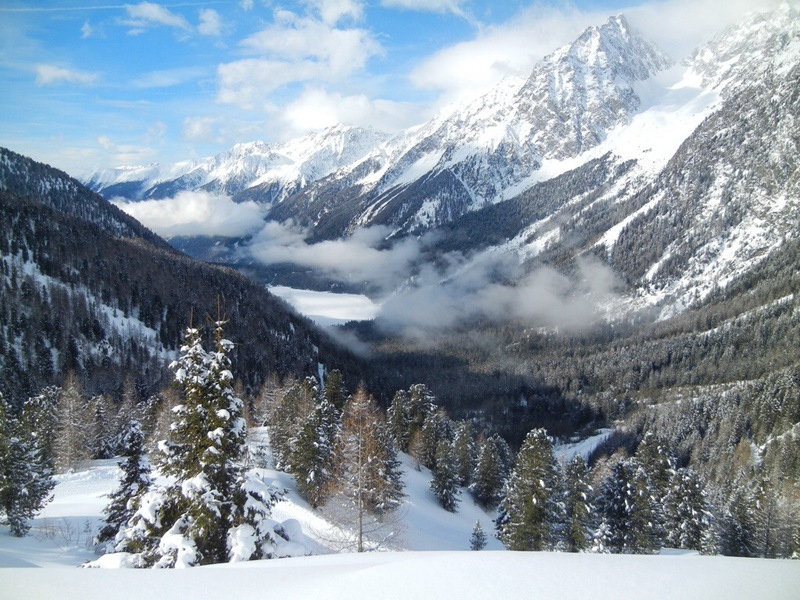 Sunshine, meters of fluffy snow, gorgeous mountains, quiet forests… what’s not to love? 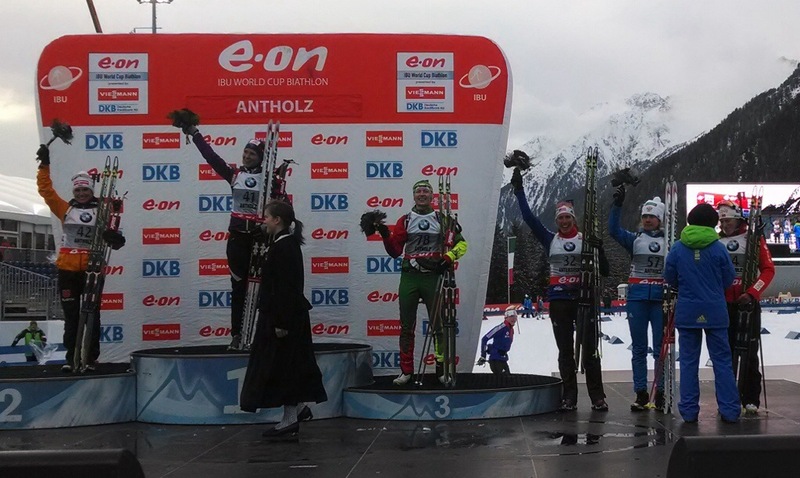 Unlike many of our race venues that are lacking in natural snow, Antholz has been a reliable winter paradise. 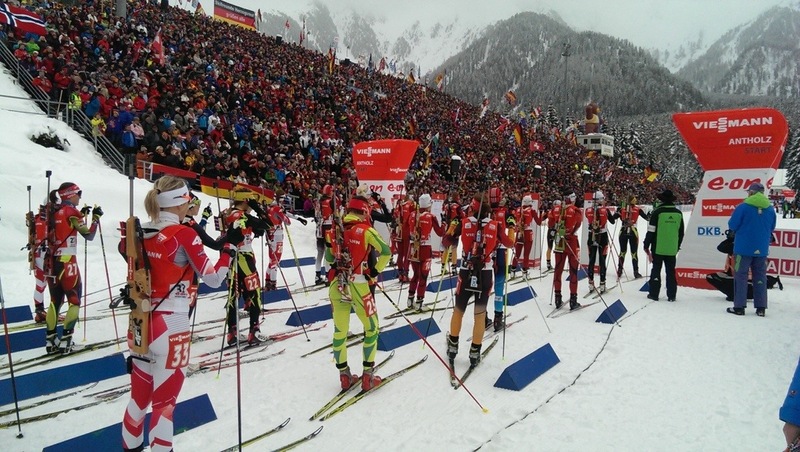 The atmosphere is always festive too, with thousands of energetic fans filling the stadium and lining the ski track. We had three races here last week beginning with the 7.5 km sprint. In both shooting bouts I hit all my targets, “cleaning” an individual World Cup race for the first time. During the last loop, my coaches gave me splits saying that I could be on the podium. I fought hard. When I crossed the finish line, I was sitting in first place but was ultimately bumped down to fourth by some of the later starters. It was a career best result and I was only half a second off the podium! I was also very happy to see Anais Bescond of France win that day; it was her first World Cup victory and she is one of the nicest ladies on the circuit. The next race was a 10 km pursuit. In a pursuit, the winner from the previous day starts first and the other athletes start behind, handicapped by how far back they finished the day before. The first person to cross the finish line wins. I started fourth, only 11 seconds back and I was a little nervous being surrounded by such fast women who have proven themselves many times. I had to remind myself that starting near the front is exactly where I want to be. Before the race, I visualized being in the lead pack while skiing smartly and shooting relaxed, and that made me feel more comfortable. Unfortunately, despite staying relaxed and near the front for a couple of loops, I lost a lot of places by the end and finished in the 20s. Along the way I broke a pole and lost a couple of ammunition clips which cost me some time, but my biggest problem was missing 3 out of 5 targets in one of the standing shooting stages. It was still a great learning experience and I hope to have more chances like that in the future. The week culminated with a team relay race. We were psyched to have our team back at full strength after having to sit out the last World Cup relay when half our members were away at Olympic try outs. Earlier this winter, we netted two top 8s in the relay event, one of our strongest years ever, and we couldn’t wait to keep that momentum going. Sara and Annelies warming up before the race with some standing holds and dryfire exercises. The day started out very foggy and at times we couldn’t see the shooting targets 50 m away. During the warmup, we skied small circles around the stadium, ready to jump on our shooting mat and zero our rifles whenever there was a brief lightening of the fog. Normally zeroing takes me about 5 minutes but this time it took over 35. By the time I finished, I had just enough time to take off my warmups and get to the start line on time. 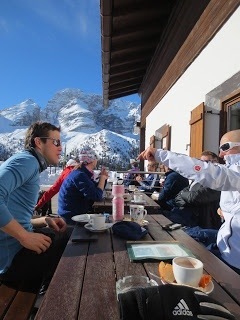 I didn’t get a chance to do my usual skiing warmup or go to the bathroom one last time. However, one thing that racing has taught me about life is that sometimes you just need to be flexible. Luckily during my leg of the race, the fog held off and I could see the targets fine. I tagged off to Annelies for the second leg. She made it 2/3 of the way through her leg and we were sitting in 5th when the fog set in again and the targets disappeared. At that point, the officials decided to cancel the race. Sara and Hannah never even got to start. Now the races are finished and we have a couple weeks of break before traveling to Sochi for the Olympics. We are staying here in Antholz for a training camp at altitude. I love skiing the trails here and savoring the sight of the mountains. This morning I skied out of the fog to the top of the Staller Pass behind our hotel. This is view looking back down. The biathlon venue is just out of sight on the far side of the lake. World Championships have begun here in the Czech Republic. Over the next week and a half we will compete in 6 different types of races. Starting it off is tonight’s mixed relay tonight under the lights with Annelies Cook, Lowell Bailey, Leif Nordgren, and myself. 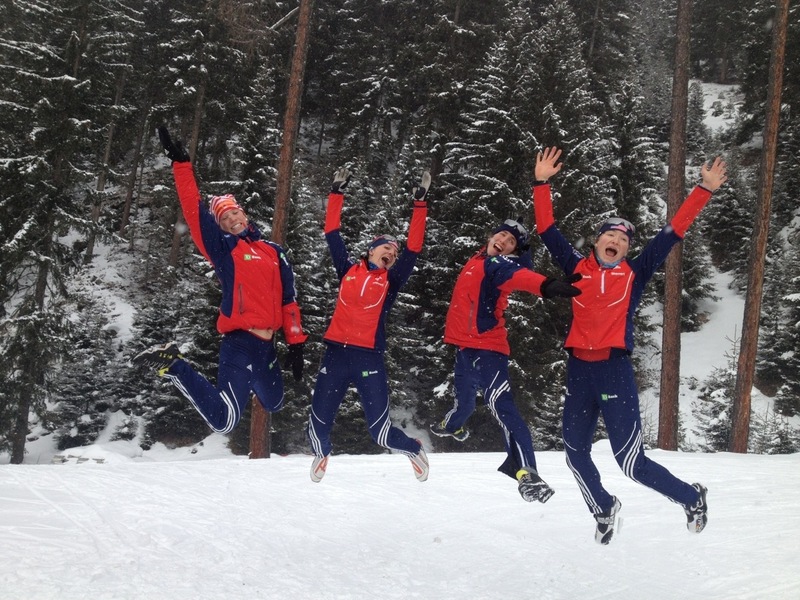 Stream it live at 11:30 am EST from biathlonworld.com. Before all the craziness of racing takes over, I want to look back at the last few weeks with the team and share a little bit about what life is like when we aren’t busy training or racing. We ski a lot and we work hard, but life on the road also features a lot of down time in hotel rooms. Having interesting and fun people on the team makes a huge difference in our quality of life. I truly believe we have one of the most enjoyable and supportive team atmospheres of any country on the World Cup circuit. This year the guys brought several remote control helicopters with them. Tim especially has logged many flying hours and is ready to study for his pilot’s license. 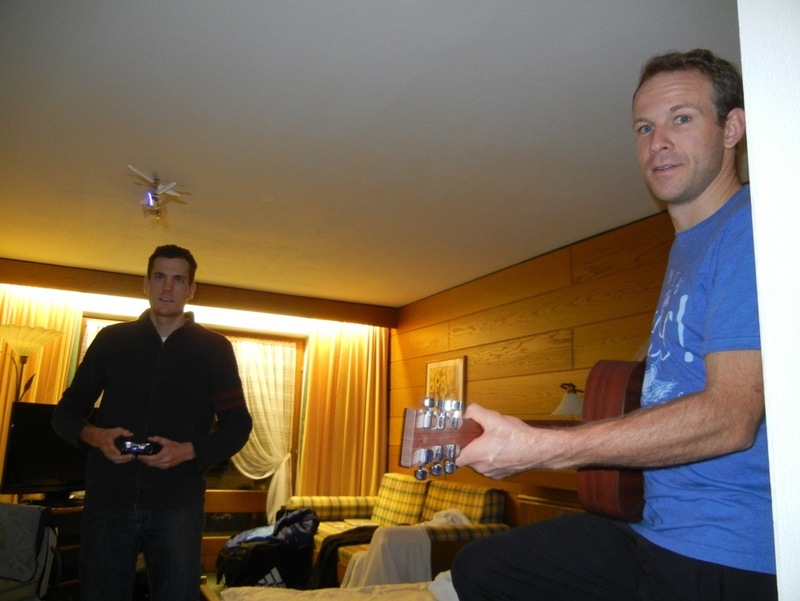 In Antholz we had 4 guitars, one banjo and one concertina between the staff and athletes. I can’t say it always sounded pretty (except when Lowell was playing of course), but we kept ourselves entertained. In Italy, much of the day revolves around meal time. We would often spend at least an hour at lunch and 2+ hours at dinner crammed together around one long table. In the breaks between courses we had plenty of time to make (hilarious) conversation. I think I logged at least one hour every day laughing- that has got to be good for your health! We heard the same five pop songs 3 times a day (once every meal) and started composing our own words for them. Occasionally we ordered a couple bottles of wine as a treat and we learned that drinking the local La Grein turns your teeth and tongue purple. While the food here in Czech isn’t bad, it isn’t quite as nice as in Italy. 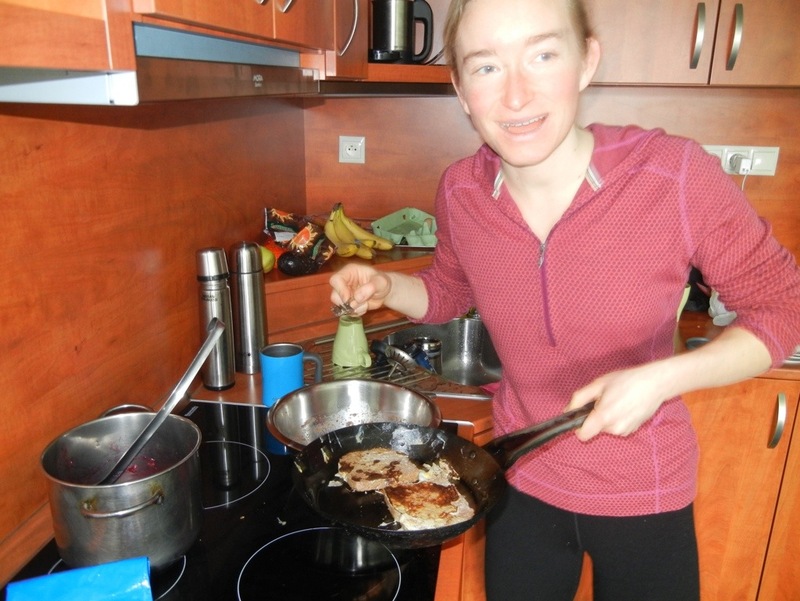 Since we have a lot of free time in the morning due to a late training schedule, Annelies and Hannah suggested we make our own breakfast yesterday morning. 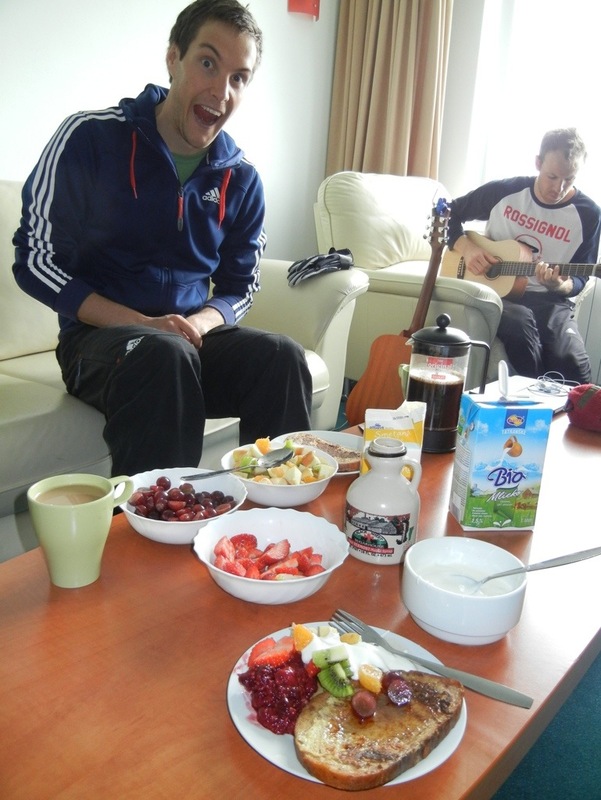 We had French toast (with Vermont maple syrup), fresh fruit and yogurt. It was awesome! 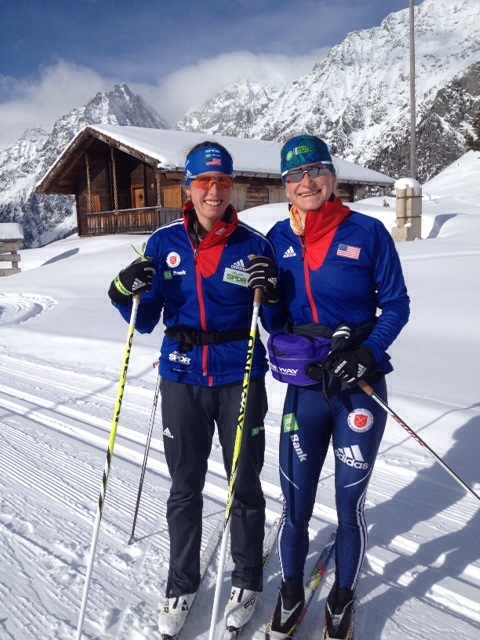 One of my long time biathlon teammates, Laura Spector, recently decided to not continue competing this year. Laura has always been an awesome training buddy who can be counted on for the longest biking or hiking adventures and I’ve missed having her around this summer. 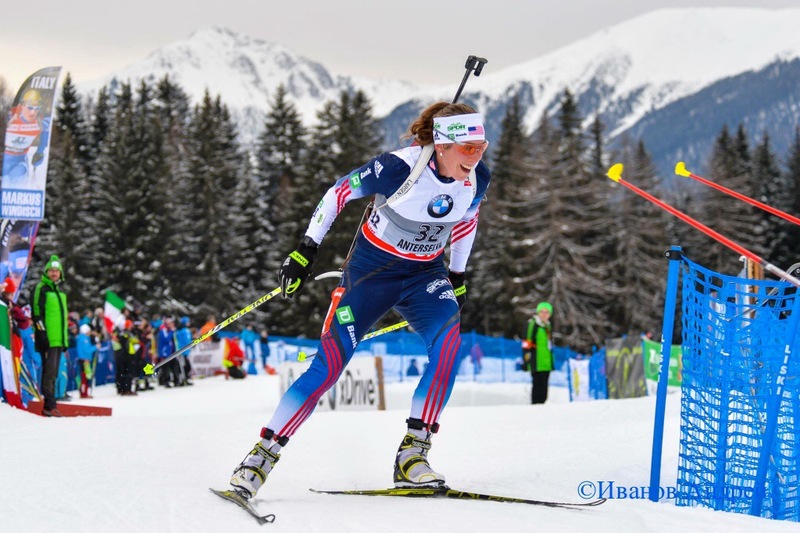 She was also instrumental in starting the forward momentum of the US women’s biathlon team. During the 2010-2011 season, I couldn’t wait to look up results and see how much Laura and the other World Cup ladies had improved each week. For the first time, we really started to believe we belonged with the best athletes in the world. Best of luck Laura as you pursue your biology interests! Anytime you need a break from the lab or fruit flies, the mountains await. We still need to summit Mount Timpanogos someday. 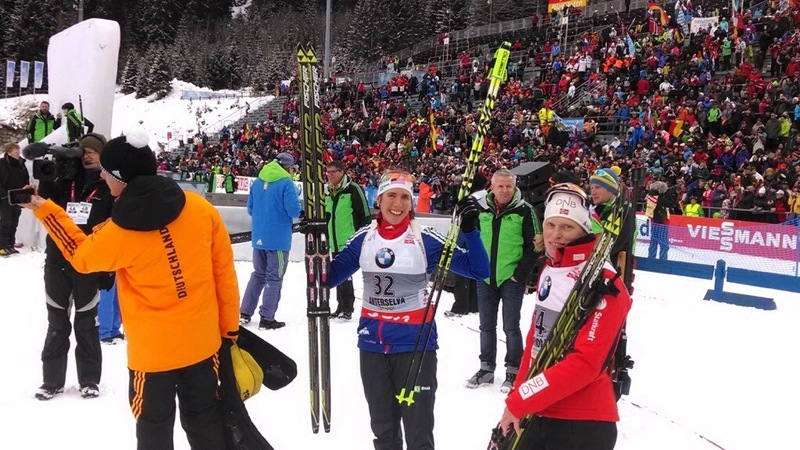 The following blog post is a write-up I did for NENSA midway through last season about my first World Cup mass start race. During the experience, I couldn’t help but reminisce about what it was like watching Laura racing a year earlier. 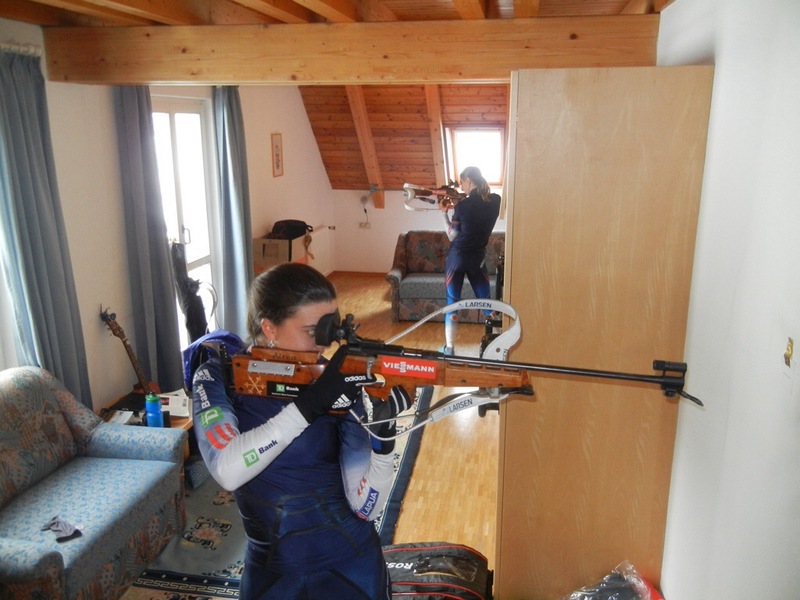 On an evening in early January 2011, a small group of American biathletes crowded around a single computer screen in a Czech hotel. 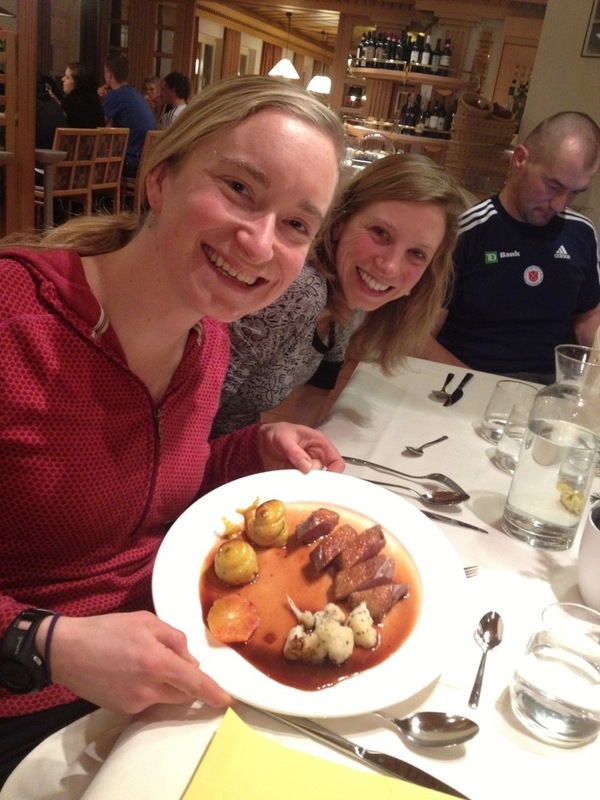 We were there competing in IBU Cups (biathlon’s equivalent of OPA Cups) but at that moment we were much more interested in what was happening on the World Cup in Oberhof, Germany. 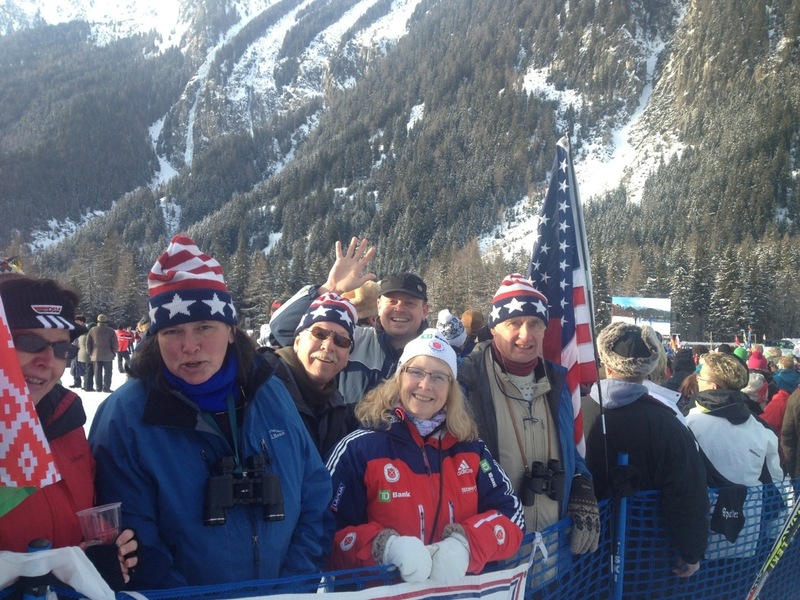 One of our own, Laura Spector, had earned a start spot in the mass start and was competing as the lone American. We managed to coax the hotel’s weak wireless signal to stream the race onto one computer and watched Laura ski a very smart race. She looked relaxed under the brilliant lights and in front of a crowd of 30,000 spectators. After starting out near the tail end of the pack during her first loop, she relied on her solid prone shooting to move up. I was very impressed. 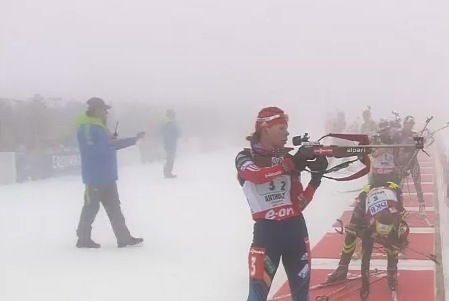 Mass starts are the most exclusive events on the biathlon World Cup. Only 30 women can start each race, which is the maximum number a shooting range can accommodate at once. 25 start spots are saved for the highest ranked women on the season’s overall points list. The remaining 5 are allocated based on results from earlier in the week. 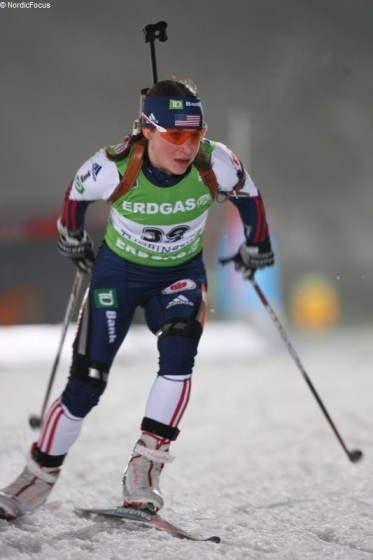 Laura earned one of those last 5 spots and was the first American woman in years to compete in a mass start. It was inspiring for us to see her in the mix. Even our typically reserved Finnish coach, Jonne Kahkonen, couldn’t stop beaming as he watched the race unfold on the computer screen. That evening was a turning point; it marked a shift in our team’s expectations. We had all trained and raced with Laura over the past several years. If she could do it, what was stopping us? Americans Sara Studebaker and Haley Johnson soon earned spots in subsequent mass starts that season. As a team, we began to expect that someone would qualify to represent us in the mass starts, and it might not be the same athlete(s) every time. 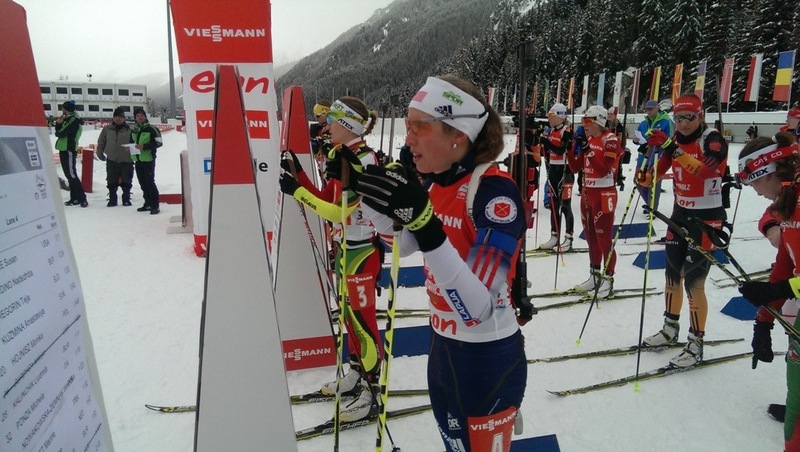 About a year after watching Laura’s mass start debut, I found myself standing nervously on the starting line before my first World Cup mass start in Antholz, Italy. I had qualified based off of a sprint race a couple days before, which had been my career best. In front of me, I could see rows of athletes filled with French, Norwegian, Russian, and German suits. Above me towered the spectacular Dolomite Mountains. With a minute to the start, the roaring crowd had fallen silent, replaced by an eerie heartbeat thumping from the loud speakers. “Boom-boom….boom-boom… boom-boom.” I felt nervous, but I smiled; standing on this starting line was not such a bad place to be. As the sole American qualifier, I found it strange to go through my normal pre-race routines without any of my teammates. Rather than having to zero my rifle in 5 minutes, I could take up to 40 minutes if I needed, and I shot a few extra clips to better warm-up. I conferred with coach Jonne about race tactics, including what line I should take over the finishing stretch if I needed to out-sprint someone. My teammate Sara had raced the first leg of our relay earlier in the week and had some valuable starting advice: “don’t be afraid to stop and let a pileup untangle itself,” she told me, “and don’t be nervous- the worst you can do is 30th place.” I decided the most important part of my race plan was to have fun and be patient. A mass start is very much a shooter’s race and it favors the patient. The field doesn’t break up much until the first trip to the shooting range. The key to success is to avoid the penalty loop at all costs. I knew I’d probably lose a little time to the leaders on skis, but I could easily lose a disastrous amount of time by missing targets. Shooting in a pack is the most challenging type of shooting because you can be easily distracted by the people around you. You can see them out of the corner of your eye and hear how fast they are shooting. You are aware of when they leave the mat and you start thinking about the seconds you are losing. I knew I needed to remain as calm as possible in the shooting range in order to hit targets. “Patience,” I reminded myself one last time. Before I knew it, the gun went off and the race had begun. Four years of college carnival mass starts were perfect preparation for the hectic scramble off the starting line. I love the Zen-like feeling of mass starts. My senses narrow and sharpen, and I automatically react to momentary gaps in the pack. I pass people by double poling through narrow margins. About a kilometer into my race, I saw a couple racers tangle out of the corner of my eye but we quickly left them behind. Once the pack settled into two long columns, I focused on skiing smoothly and efficiently, trying to match the rhythm of the woman in front of me. In our first visit to the shooting range, I had to shoot on my bib number: 27. It was near the entrance to the range, so I started my approach procedure early. Before reaching the mat, I took deep breathes to ventilate, scanned the stadium flags and the range flags to see what the wind was doing, and opened the rifle’ sight covers and bolt. The process felt automatic thanks to the thousands of times I had practiced it. I landed on the mat, swung off my rifle, loaded a clip and dropped into prone position. I quickly checked to make sure I wasn’t holding any unnecessary tension in my hands and shoulders. Then there was nothing more except the target and the pressure of the trigger against my fingertip. Bolt, breathe, shoot. Bolt, breathe, shoot… I was one of the last racers off my mat, but I had hit all five of my targets. My reward was seeing a mass of colorful spandex veering right into the penalty loop while I continued straight onto the course. Only a handful of other racers also cleaned that first stage. I was sitting in the top 10! The remainder of the race (4 more 2.5 km loops and 3 more shooting stages) passed by in a blur. I settled in behind the pack ahead of me. Charging up the biggest hill on the course past a mob of coaches and spectators, my eyes sought out an American jacket. One of our coaches, Armin Auchentaller, was holding up a magnet target board showing me where the shots from my first shooting had landed. My group was centered and he hollered “no corrections!” as I glided past. I met his eyes for an instant and nodded that I got the message. In the next prone stage, I missed a couple shots and fell back several places. Despite not losing much ground on skis, 5 misses over the course of the entire race landed me near the back of the field going into the final lap. With all the shooting behind me there was no reason to be patient anymore. Jonne had instructed me to “ski like a woodpecker” on the last lap and I dug to the bottom of the well to pass one more racer. My finishing place was the same as my bib number and starting rank. 27th place out of 30 competitors may not look particularly exciting on paper, but I felt good about it. In many ways the experience was more valuable than any stats on a results sheet. Under the pressure of head to head shooting, I had cleaned two stages and that boosted my confidence. Sitting in the top 10 midway through the race gave me a clear glimpse of what was possible. We still had plenty of racing to come later in the season and our team was moving forward. I left Antholz feeling hungry.